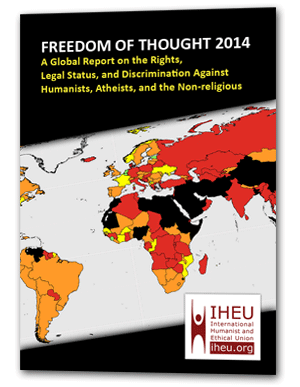 France has a vibrant tradition of freethought, anticlericalism and free expression. The state is robustly secular, the 1958 constitution beginning “France is an indivisible, secular, democratic and social Republic…” But in the region of Alsace-Moselle, a “blasphemy” law remained on statute until 2016. There are some anomalous exceptions to France’s policy of strict secularism. Notably, the 1905 “Law on the Separation of the Churches and the State” does not completely apply to all French regions and territories. Because the region of Alsace and Lorraine was part of the German Empire during the passage of the 1905 law, members of Catholic, Lutheran, Calvinist, and Jewish groups there may choose to allocate a portion of their income tax to their religious group. Local governments may also provide financial support for building religious edifices. There was a blasphemy law on statute in the region of Alsace-Moselle, as Articles 166 and 167 of the local penal code. The “blasphemy” provisions were repealed by the Senate in October 2016. No convictions were registered under the “blasphemy” law at least for many decades, though a French Islamist group attempted to sue the magazine Charlie Hebdo under the Alsace-Moselle ‘blasphemy’ law in 2014 (a year prior to the Charlie Hebdo massacre). Secularist activists had campaigned for the anomalous law to be repealed. In the wake of the 2015 Charlie Hebdo massacre there had been renewed calls for abolition of the outstanding “blasphemy” law, and the atrocity was directly cited by politicians calling for the repeal. Nationally, there remain concerns about prosecutions against “anti-religious remarks” made on the basis of Articles 24 and 32 of the 1881 law on the freedom of the press. These provisions have sometimes enabled prosecutions to be brought on the basis of inciting hatred, with limited success. However they do not appear to constitute wholesale restrictions on expression that is critical of religion.